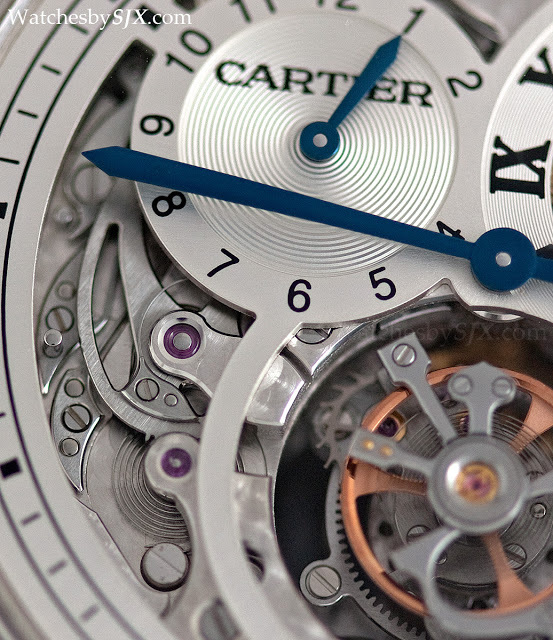 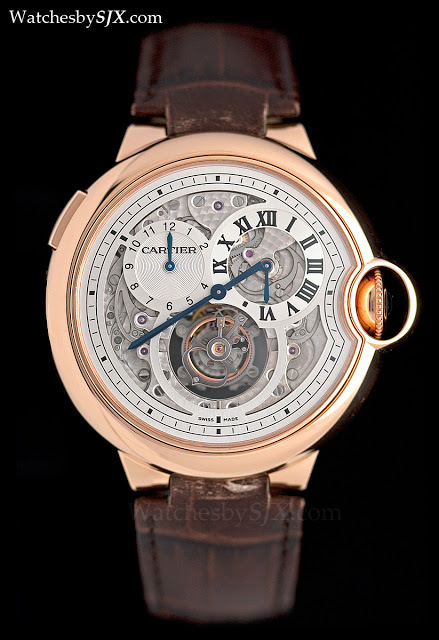 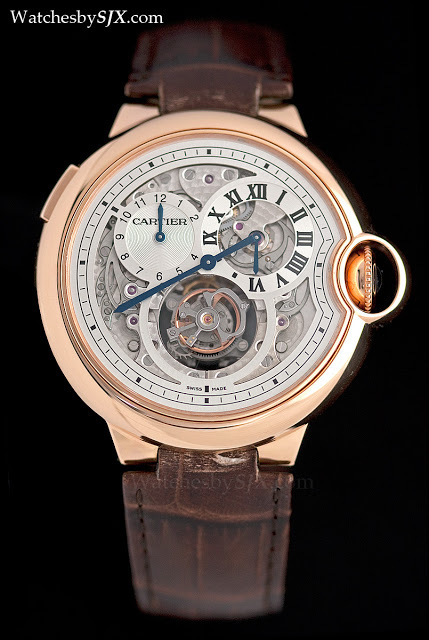 The most notable of the SIHH 2013 watches previewed by Cartier so far is without a doubt the Ballon Bleu de Cartier Tourbillon Double Jumping Time Zones. 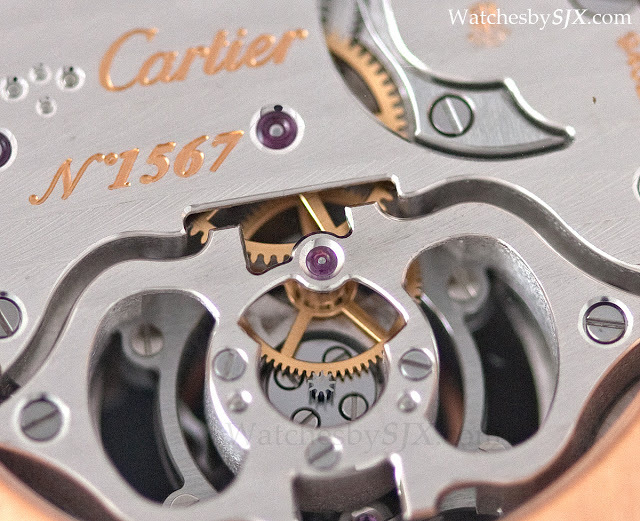 As the name implies, this is a flying tourbillon with twin, jump hour time zones. 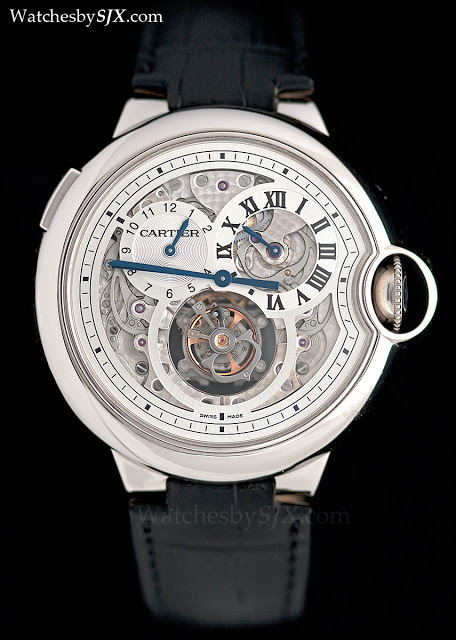 Laid out in a regulator format, the dial is skeletonised, revealing the double jump hour mechanisms of racks, snails and springs. 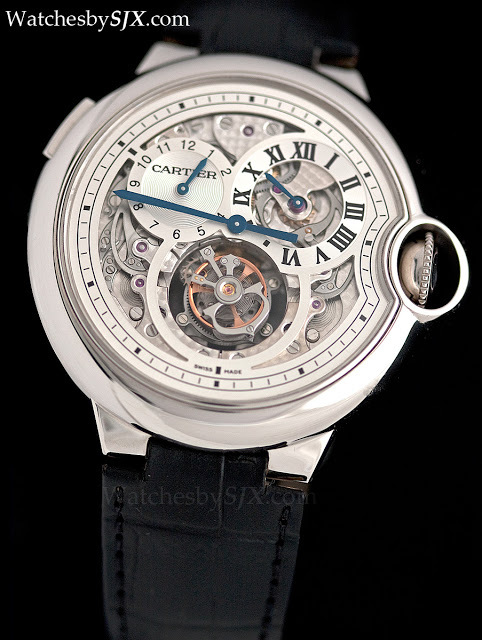 The calibre has the Geneva Seal and is finished appropriately. 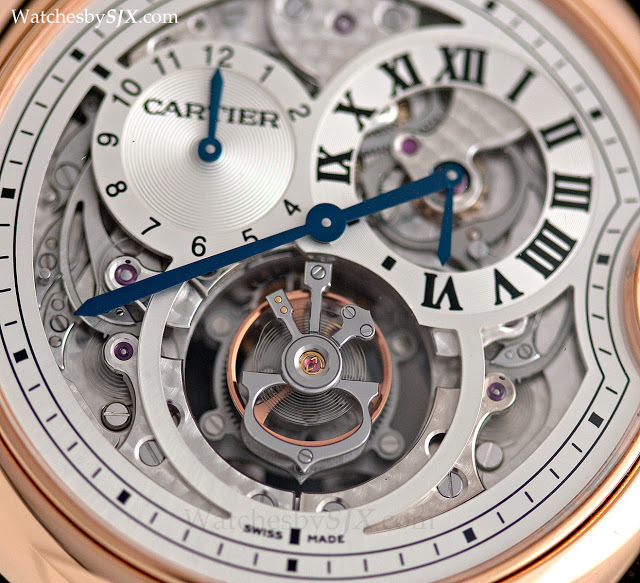 All of the wonderful anglage and perlage on the dial side is visible. 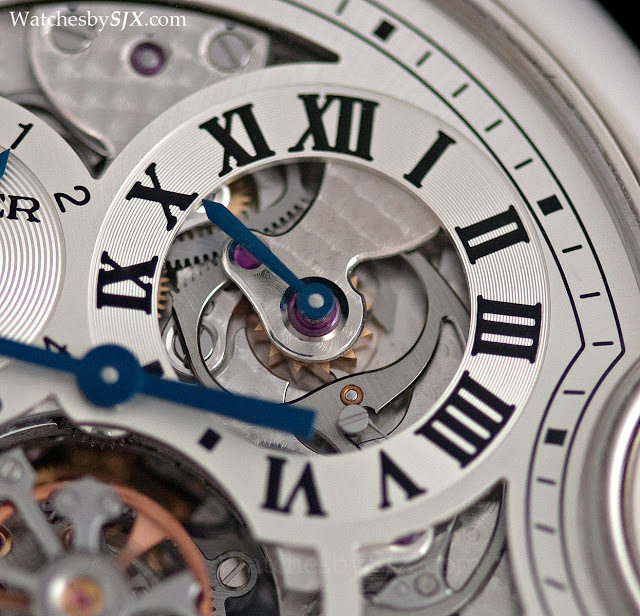 The double jump hour module was added to the flying tourbillon movement (based on a Roger Dubuis calibre). 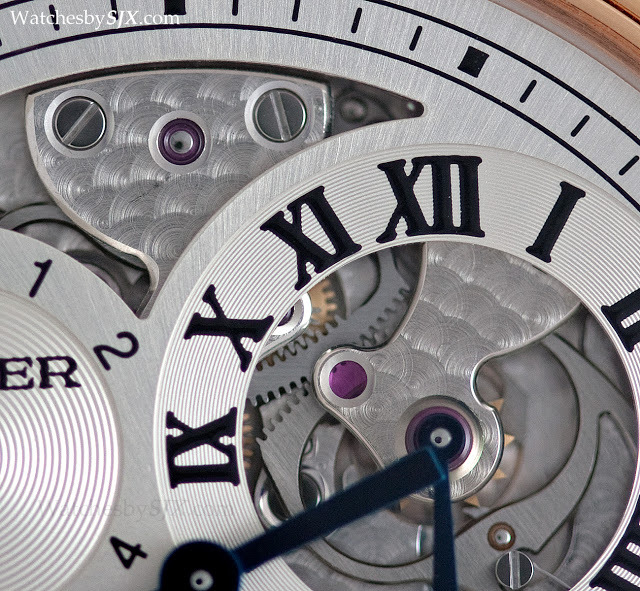 Because of the thickness of the jump hour module, the tourbillon had to be raised by several millimetres in order to bring it level with the dial. 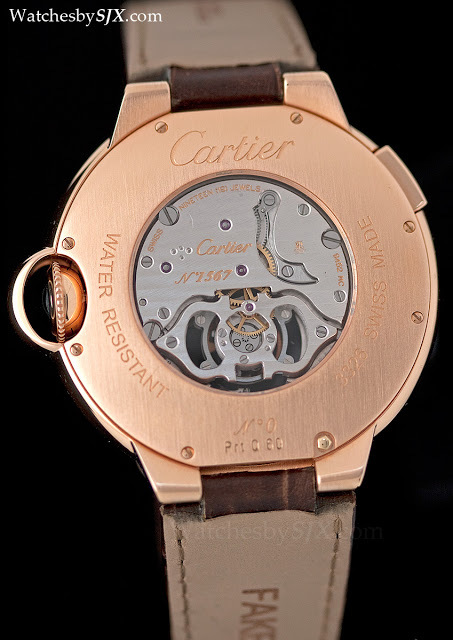 Over on the back, however, the base movement looks inappropriately small inside the 46 mm case.